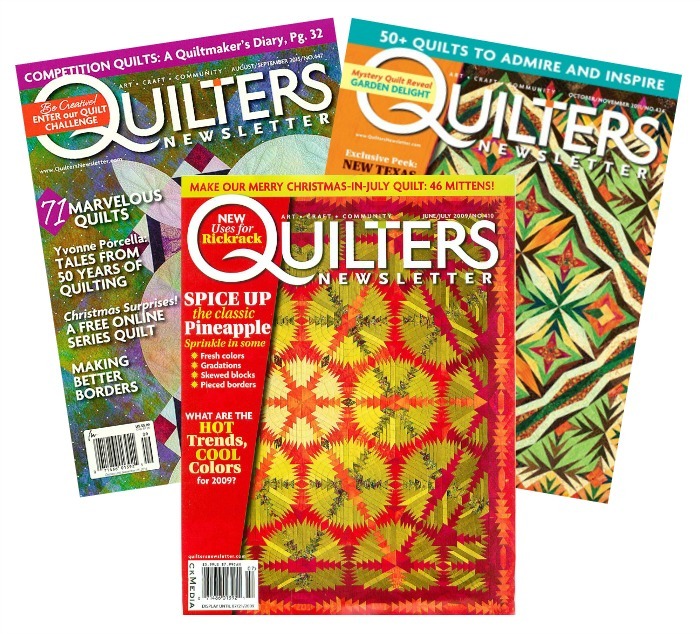 Sad to learn that Quilter’s Newsletter Magazine will publish its last issue with October/November 2016. The magazine was founded in 1969 and was the only magazine devoted only to quilting for many years. Well, this is right up there with Fons&Porter’s decision to no longer run Jerry’s articles! Thank Quilt Mania!! This will be my “go to” magazine from now on!!! ohhhhhh noooooooooooooooo This is terrible news! Quiltmania is my favorite magazine. Funny that I’ve been bombarded with notices to resubscribe to quilters newsletter lately!